Manufacturer of a wide range of products which include nano graphite powder. 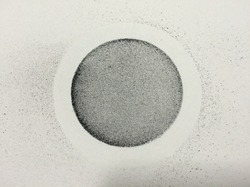 Nano Graphite Powder is our ultra-fine powder. Nano graphite powders are composed primarily of ultra-fine particles classified as per ultrafine size for various applications. Superior Electric and Thermal conductivity. Provide various packing options according to customer requirements. Looking for Nano Graphite Powder ?